Fig. 1.4 Model for pleiotropic regulation of Leydig cell functions by LH and other local signalling molecules (X, Y, Z). response. See Ascoli etal. (2002), for detailed information about structure-function relationships of the LH-receptor mutants. These observations indicate that the functional properties of the Leydig cells in these patients mainly depend on the gonadotropic stimulation of the (mutated) LH receptor and that paracrine systems within the testis cannot or can only partly compensate for the lack of LH receptor stimulation. stimulation but that do not possess the large 3D surface of the 30 kD glycopro-teins which are thought to be essential for receptor stimulation. Moreover. since these compounds are active after oral administration, in a clinical setting they are good candidates for replacing the recombinant hormones that are only active after injections (van Straten etal. 2002). Activated LH receptors stimulate adenylyl cyclase via GTP binding proteins and this results in increased production of cyclic AMP, but other products may also be formed as a consequence of LH receptor activation (Rommerts and Cooke 1988; Saez 1994; Cooke 1996; Wang et al. 2000). Although cAMP can increase steroid production, there has been doubt as to whether cAMP is the only second messenger of the action of LH. 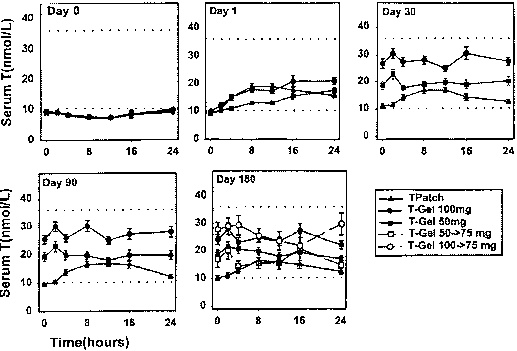 Low concentrations of LH stimulate steroidogenesis without detectable changes in intracellular cAMP levels. Specific intercellular pools of cAMP have been postulated to explain these observations. Since rapid changes in intracellular calcium ion levels have been detected after administration of hormones (sometimes oscillations occur; Berridge and Galione 1988), calcium also appears to play an important role in signal transduction. For the Leydig cells calcium ions and calmodulin are also essential for full steroidogenic activities but it is less clear at which level calcium plays a role. Phospholipids, specific phospholipases and products of phospholipid metabolism such as arachidonic acid are of paramount importance in signal transduction of many types. These compounds have also been detected in rat Leydig cells and it has been shown that they are essential for the effects of LH on steroidogenesis (Wang etal. 2000). However, it is unknown to what extent these products are essential in human Leydig cells. The activation of various signal transduction pathways in mouse or rat Leydig cells causes activation of different classes of protein kinases and kinase-linked pathways (Richards 2001). A major part of these kinase-linked pathways are directed to the nucleus where kinases or nuclear localized phosphoproteins can mediate the trophic effects of LH by regulation of gene expression. Transcription regulation of the steroidogenic enzymes has been investigated in great detail. The results of these studies show that the protein kinase A pathway is of predominant importance for controlling the promoter regions of most of these genes. However, only a limited number of cAMP responsive elements have been shownand regulation of transcription of steroidogenic enzymes clearly depends on a complex interaction between different transcription factors. Other phosphoproteins may be connected with the cytoskeleton that probably play a role in the intracellular transfer of cholesterol. As discussed previously, ongoing transcription of the StAR gene protein synthesis and protein phosphorylation is required for controlling the availability of cholesterol in the mitochondria via the protein StAR. This is considered the rapid control of steroidogenesis. Trophic control of steroidogenic activities in mitochondria and the smooth endoplasmic reticulum is mainly exerted by regulation of the biosynthesis of the steroidogenic enzymes via increased levels of mRNAs. No activation of these enzymes by phosphorylation has been shown so far. Regulation of the amount of these proteins is a relatively slow process and it can take several hours before enzymatic activities change after stimulation with LH. The steroid-transforming activities of the enzymes in the endoplasmic reticulum are also affected by the levels of endogenous steroid precursors and endproducts and product inhibition has been shown to occur. Since the pattern of accumulated intermediates often depends on external conditions, it is difficult to make general conclusions on this regulatory aspect of steroidogenesis. For specific information the reader is referred to a review by Gower and Cooke, 1983. Although the most important Leydig cell products under the influence of LH are androgens, Leydig cells also produce protein products like IGF-1 and other growth factors. These products are mainly important for paracrine or autocrine regulatory events within the testis and will be discussed later.